A vast green wilderness, the Republic of Congo (Congo-Brazzaville) is a near-mythical place of astounding biodiversity. Close to the geographic “Heart of Africa”, Congo is a place few people have ever had the chance to visit. 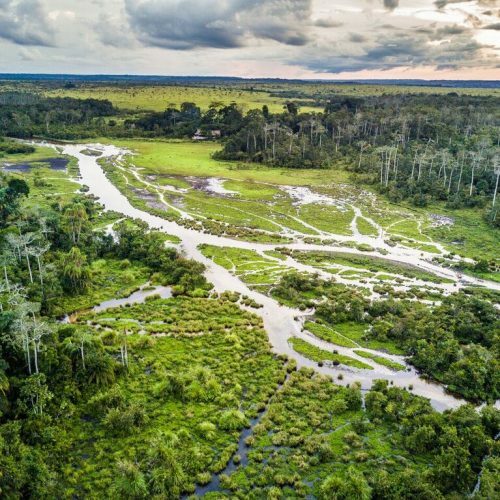 Hiding half the world’s lowland gorillas, as well as buffalo and forest elephants, Congo is swiftly moving towards the status of a regarded ecotourism destination. Explore the towering forests, crystal clear streams and expansive open savannah; discover a mosaic of grasslands and waterways. For those unable to ignore the beckoning wild – and unafraid of adventure – the Congo awaits.